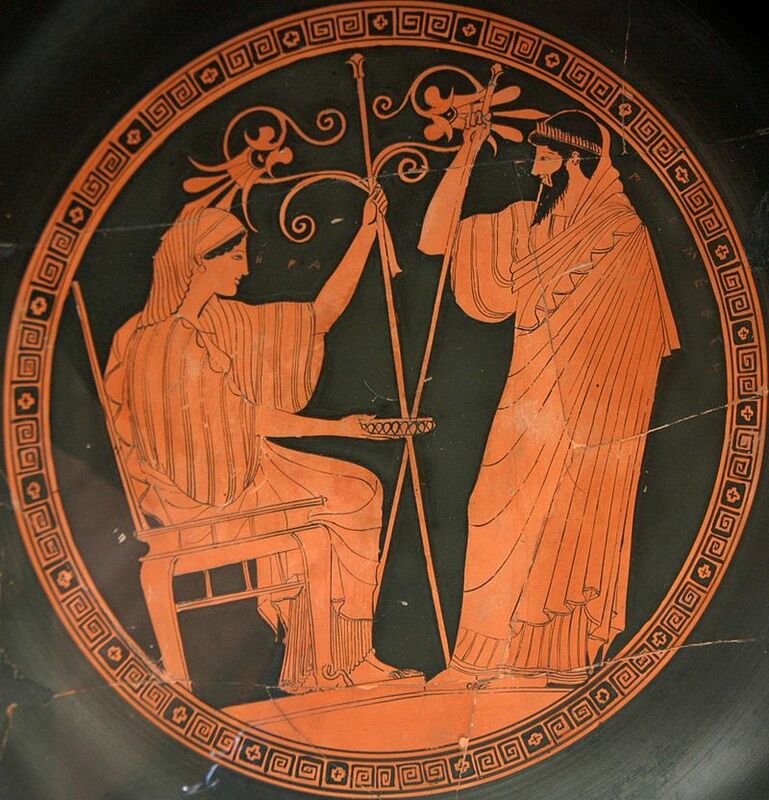 It is probably not surprising to hear that the Homeric poems express misogynistic ideology; even the ancient poet Palladas recognized that Homer was something of a misogynist. But, get this, the ancient scholia are pretty awful too! In a recent article, Sarah Scullin collects misandrist myths and topics from Greece and Rome. Reading some ancient scholarship can make us see why someone might find such ideas attractive. The following lines and commentary from the Homeric Scholia come from the scene at the end of book 1 of the Iliad where Hera talks to Zeus about his recent conversation with Thetis. κερτομίοισι: τοῖς τὸ κέαρ βάλλουσι. γυναικεῖα δὲ ἄμφω, τό τε ὑπονοῆσαι καὶ τὸ μὴ ἐπισχεῖν τοῦ λόγου. πρόφρων τέτληκας εἰπεῖν ἔπος ὅττι νοήσῃς. οὐδέ τί πώ μοι: δυσχεραίνουσιν αἱ γυναῖκες, εἰ μὴ πάντα αὐταῖς ἀνακοινοῖντο οἱ ἄνδρες. καὶ λίην σε πάρος: ἔθος γυναιξὶν ἀρνεῖσθαι, ὅτι ποτὲ παρηνώχλησαν τοῖς ἀνδράσιν. Twinkling Smile or Innumerable Laughter?